I have often joked that my death-row meal would consist simply of two eggs, over medium, and an entire loaf of toasted white bread with salted butter. I feel bad for gluten-free folks, and those suffering from celiac disease, sincerely. We all know the drill - eat a well-balanced diet with the focus on vegetables, grains, then meat. I've got the meat part down (I consider it a condiment), but I struggle with keeping the bread a step or two below the veg. Don't get me wrong, I love veggies ... I just love bread MORE. Ever drawn to bakeries on my travels, I've been enjoying the upsurge of Japanese-style bakeries in places like Beaverton, Oregon, Las Vegas, and Carrollton, TX. 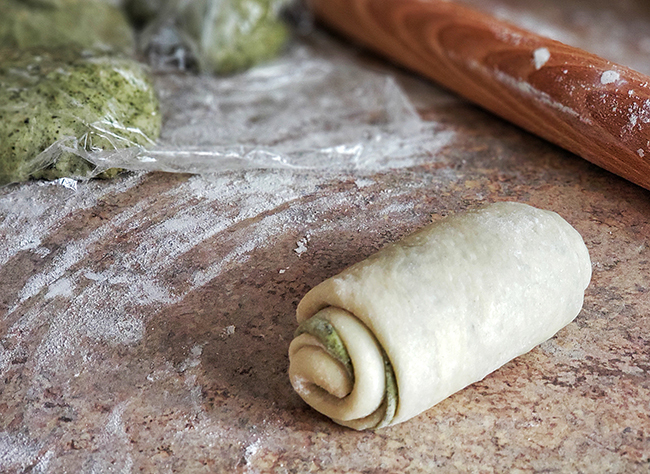 You can find a few "traditional" bakery items there (always croissants) but you'll also enjoy some really unique pastries that combine French and Asian ingredients. The Japanese Bakery I stopped at one morning in Beaverton, Oregon - Oyatsupan - did not disappoint. I perused the shelves and drooled over the pillowy white sandwich bread, croissants with red bean paste, the sweet and salty edamame sea salt rolls, and the amazing beef curry doughnut which sounds wrong but was oh so very right. I brought a delightful sampling to an outing with my aunt and cousin in Portland and I heard zero complaints. 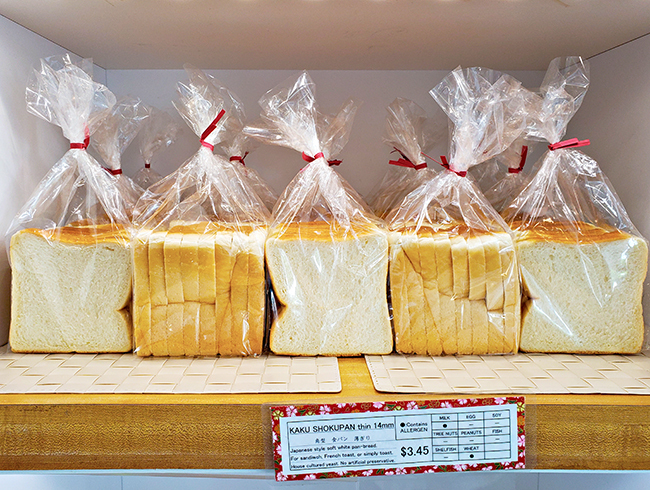 What's so fantastic about milk bread is the tangzhong method which produces amazingly soft, pillowy bread that stays remarkably fresh for quite some time. This tangzhong, which is basically a bread and milk/water roux, is your secret weapon for making the best sammich bread ever right in your home kitchen. It's not as complicated as it sounds: the roux is made with a 1:5 ratio of bread flour to water./and/or/milk. The mixture is heated up to 65-degrees celsius then cooled down to room temperature and added to the bread dough. 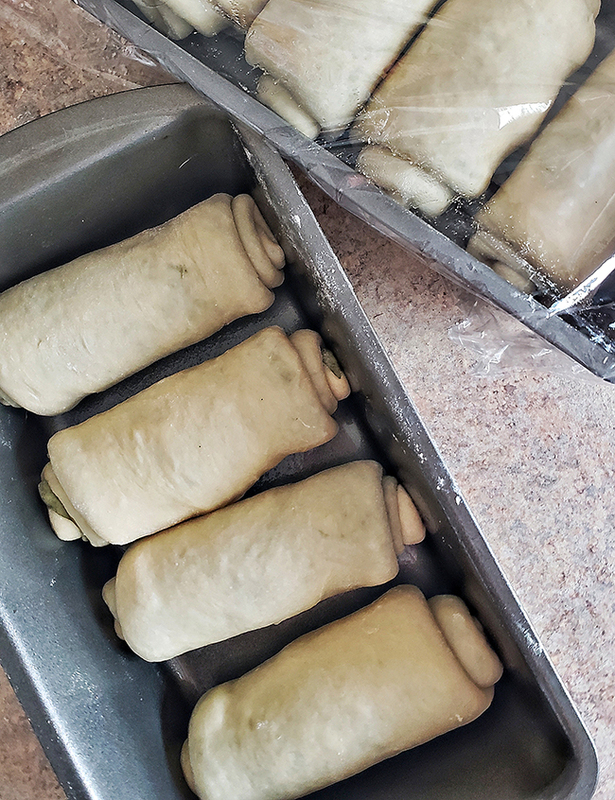 Then you simply let the dough rise and form into loaves or buns as you normally would. If you know me personally, you know I've spent the past two summers baking for our little local farmers market. I have really enjoyed doing this because it means I get to BAKE EVERY NIGHT. Okay, I take Saturday and Sunday evenings off, but the rest of the week, I'm baking. I've focused strictly on sweet treats mostly, but after another stop at a Japanese bakery in Texas last week, I've decided to add some savory breads to the market this weekend. And I knew just where to start. I've had two recipes squirreled away in my bread recipes notebook. 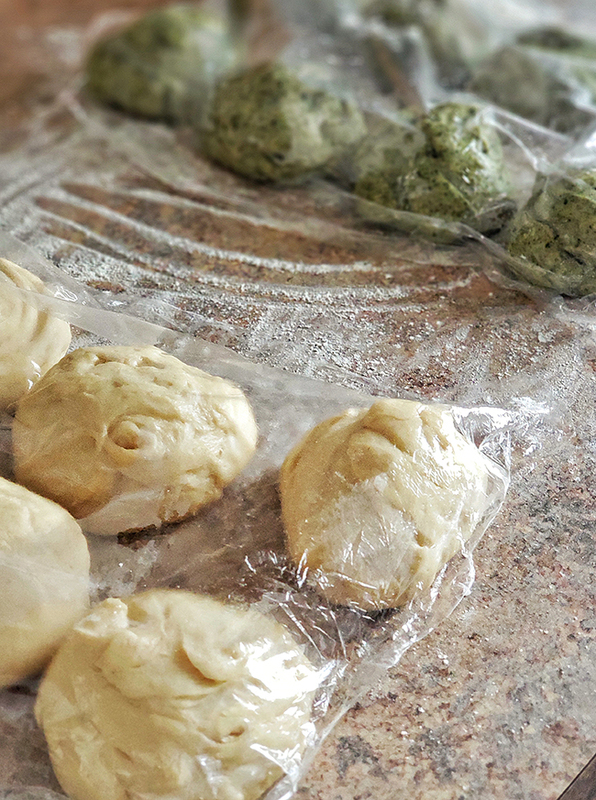 One was a matcha (green tea) and milk tangzhong bread recipe I found on the Tummy Train blog. You can find the recipe for the bread here. Another great milk bread recipe that features one of my favorite Japanese condiments, furikake (a rice seasoning) is this furikake milk bread buns recipe from Betty Liu's food blog. You can find her recipe here. If you're at all interested in upping your bread baking, give the tangzhong milk bread technique a go. Or ... you could come to the farmers market this Saturday and pick some up from me!